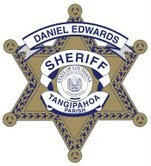 At the Tangipahoa Parish Sheriff's Office, we are devoted to and remain instrumental in preserving the quality of life in our community by maintaining Tangipahoa Parish as a safe and secure place to live, work and play. Our primary focus as a department is crime prevention, crime detection, offender apprehension and public safety. We strive daily to maintain open lines of communication, allowing community members and law enforcement to work together to prevent crime and solve problems of mutual concern. Sheriff Daniel Edwards has taken an aggressive approach in his efforts to fight against crime. He has taken steps to ensure that crime does not pay, and has been nationally recognized for his efforts. He has created new investigative units that reduced crime, incorporated the latest state-of-the-art technology into the department, and supported the deputies who serve our parish. He has managed to combat crime and increase protection in our parish on a modest budget. Daniel Edwards knows how to keep our parish safe. Nationally Recognized as One of the Best Sheriff’s Offices in the State. 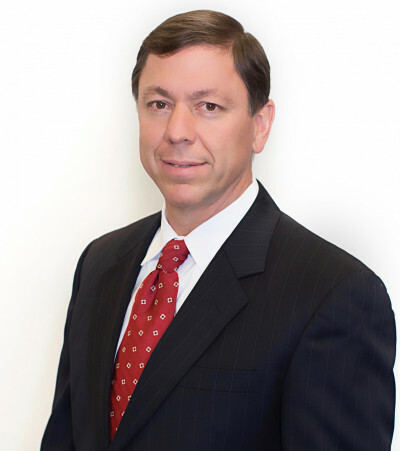 Edwards is a full-time sheriff who is very involved in the running of the department. Edwards has also led his department in being recognized nationally as an Accredited Law Enforcement Agency with the Commission on Accreditation for Law Enforcement Agencies (CALEA). Edwards has also formally been invited to serve as a Member of the Committees for Domestic Violence and Crime Prevention / Private Security by the National Sheriff’ Association for a third term. This appointment allows him to work side by side with state and national law enforcement leaders, organizations and associations. In July of 2018, the Tangipahoa Parish Sheriff’s Office met the requirements of the highly regarded broadly recognized body of Law Enforcement Accreditation standards and received its second re-accretitation status by the Commission on Accreditation for Law Enforcement Agencies, Inc. (CALEA). The Tangipahoa Parish Sheriff’s Office is one of only three sheriff’s offices in our state to remain accredited. There are also four accredited police departments in Louisiana. This accreditation would not have been possible without the support and hard work of the men and women at Tangipahoa Parish Sheriff’s Office. 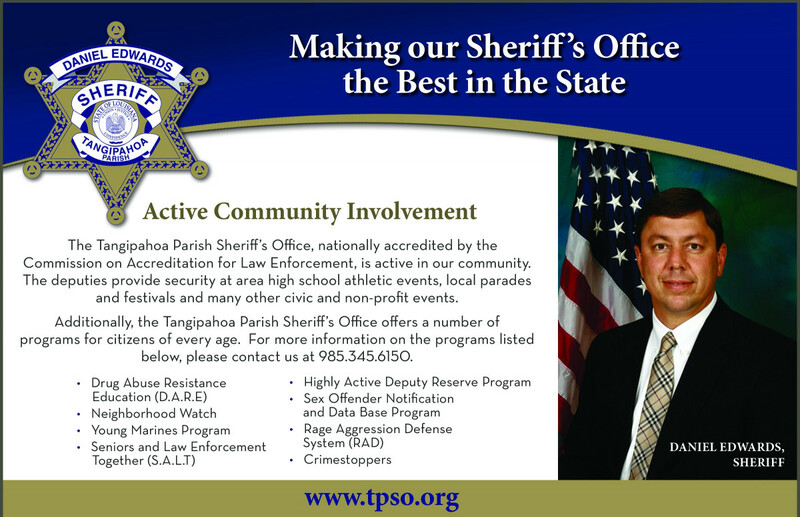 Our mission at the Tangipahoa Parish Sheriff’s Office is to provide the highest quality of public safety services to our community. We strive to maintain a safe environment that enhances the quality of life for all those who live, work and visit Tangipahoa Parish. We are innovative and responsive to the needs of those we serve and work in partnership with our community to solve issues of mutual concern. Loyalty— We are loyal to our department, profession and members of our community. Diversity— We embrace the strength in diversity. Community— We value partnership and working together to make a positive impact in our community. Sustainability— We believe in fair and equitable enforcement of all laws and respect for the constitutional rights of all persons.